Have A Trailer Book You Can Be Proud Of. Great Gift Ideas. 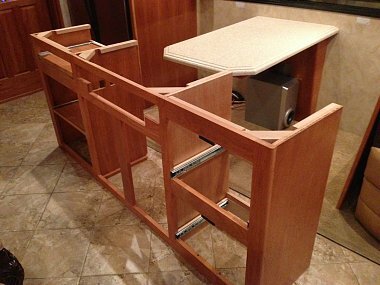 These books about trailers will keep your interest and make you want to share the RV lifestyle with others. All have lots of pictures and come highly rated. Here’s a list of some popular books about trailers. Do you like reading about the history of trailer life? Seeing detailed interiors of vintage teardrops? Are you thinking about buying and restoring an older-model Airstream trailer yourself? You’ll find a little of each in these books. They’re all easy to read, have lots of pictures, and would make great conversation starters. Which one is your favorite? If you like books with lots of pictures and lots of history you’ll love Trailerama. In this enjoyable read by author Phil Noyes, you’ll see how the simple travel trailer became an important part of 20th Century America. 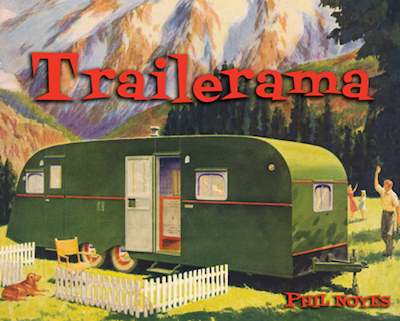 Most all of the items featured in Trailerama are from the author’s personal collection of RV memorabilia, including old-time sheet music, greeting cards, post cards, and advertising materials. The book is 192 pages long and comes in a high-quality hardcover format that’s perfect for your coffee table. Written by Australian Lisa Mora, Vintage Trailer Style captures the spirit and nostalgia of vintage travel trailers. 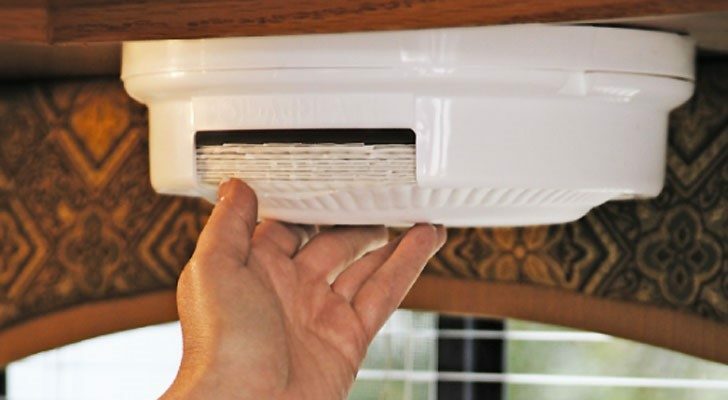 Lisa will take you on a photo tour of the inside and outside of many vintage trailer remodels. 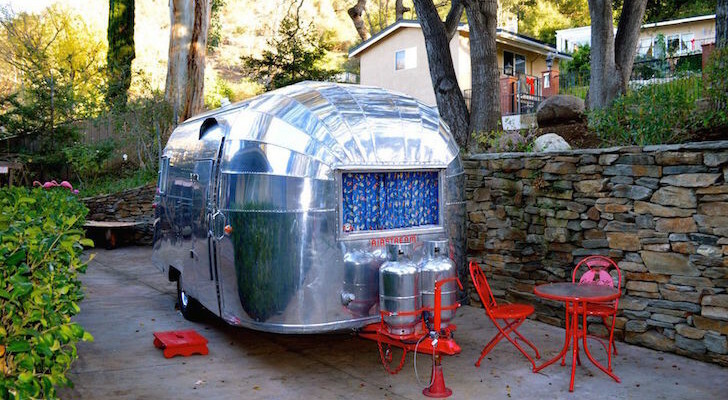 You’ll see tiny teardrop trailers, iconic Airstreams, and even some Beverleys and Shastas. In total, Lisa has included over 350 delightful trailers. 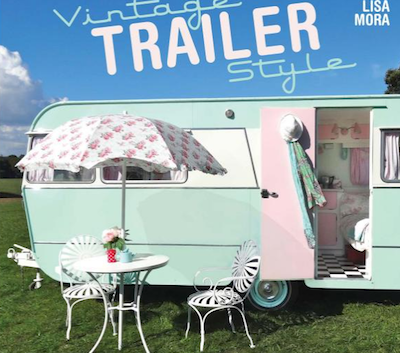 Lisa is also the editor of Vintage Caravan Magazine, the world’s first magazine dedicated to vintage, classic, and retro-styled trailers. Do you want to experience the wild outdoors while still enjoying the finer things in life? If so, glamping is for you. 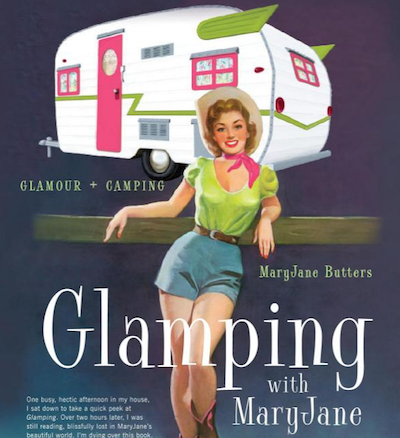 Full of helpful info and tons of pretty pictures, Glamping with MaryJane will let you unwind and relax in nature – and feel pampered at the same time. Author MaryJane Butters speaks from her experience as a trailblazing outdoorswoman. She’s built houses on Hill Air Force Base, was one of the first wilderness rangers in the United States, and became the first female station guard at the most remote Forest Service district in the continental United States. 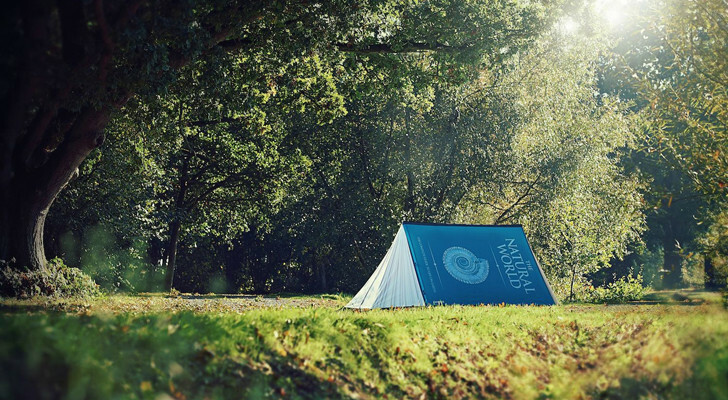 You’ll learn how to go glamping from a true pioneer! 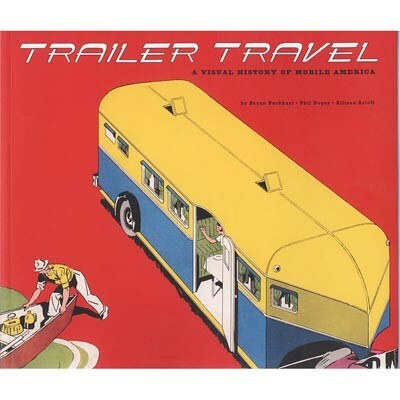 Trailer Travel is another book by Phil Noyes, who also wrote Trailerama. In Trailer Travel, Phil has spent countless hours selecting the best black and white and color photos from public archives and private collections. He’s packaged them into an easy-to-read and entertaining paperback book. The book focuses on trailers from the early 1900s through the 1930s – the heyday of the classic travel trailer. Trailer Travel would make a great gift for someone who loves vintage memorabilia – especially if they’re an RVer as well. The book is 160 pages long and comes in a paperback format. See more information about the book. 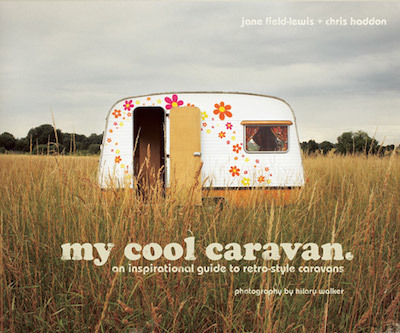 If you’re looking for some design inspiration for your next vintage trailer remodel, My Cool Caravan might be the book for you. 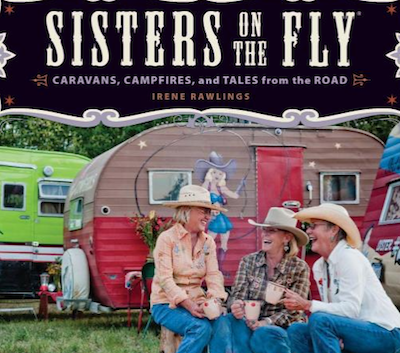 The authors have put together an in-depth study of 30 styled campers, with themes such as Country Cottage, Rustic, Romany, Funky 1970s, Airstream, Trailer Park Treasures, and Recycled. You’ll find special attention has been placed on interior design, something that other books and trailer renovation resources usually skip over. Each trailer featured in the book has at least one exterior picture as well as several interior pictures. If you’re looking to renovate your existing trailer – or tackle a vintage fixer-upper – this book should give you some ideas. is a 1,000+ strong group of women who buy, restore, and decorate vintage trailers. Once they’re finished with their handiwork, they take the trailers around the country having a blast. Cards, fishing, cooking outdoors – drinking wine! – and telling tales around the campfire. This book has a lot in it. It’s partly a memoir, but also a guide on how to camp, fish, cook, and just plain have a great time with a group of women who feel the same as you do. This is one of the most dangerous books you will ever hold in your hot little hands. Read only a page or two and flip through the pictures and you will be afflicted with one of the most potent ailments known to man and womankind–“Silver Fever.” This book will have you scouring the high-ways and by-ways for vintage trailers faster than butter melting in a hot Dutch Oven! I guarantee you’ll be dreaming up décor ideas, martini recipes, and scenic routes by chapter three. 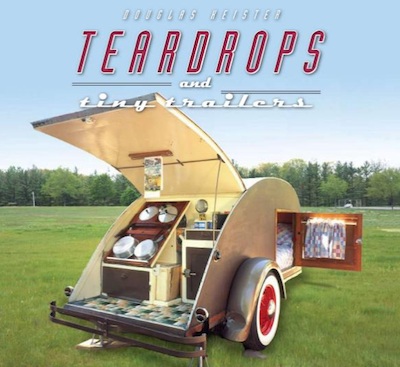 Photographer and writer Doug Kiester has written over forty critically-acclaimed books. In Teardrops and Tiny Trailers, Doug gives you an insider’s view into the world of small-space RVing. Teardrops were first manufactured in the 1930s, but have become popular because of their iconic shape and simple utility. Over two hundred color photographs of both the inside and outside of these charming trailers are beautifully featured inside this hardcover edition. 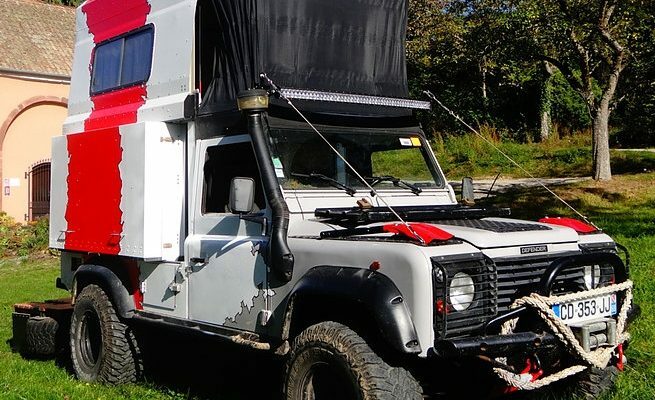 Doug has also included a list of references so you can get started on finding and sprucing up your own teardrop or tiny trailer. Airstream trailers have captured the imagination and whimsy of the American public since their introduction eighty years ago. Did you know that designer Ralph Lauren owns four Airstream trailers? 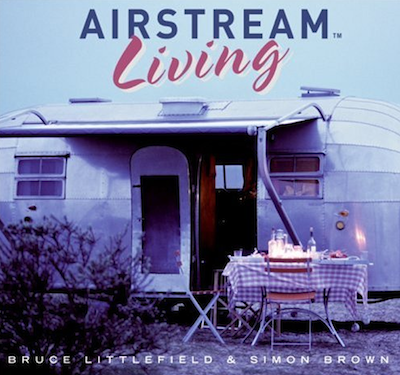 Airstream Living explores the many uses of these iconic trailers. Some enjoy Airstreams for short weekend trips, others live in them year-round. You’ll see examples of each type of lifestyle. Who knows? 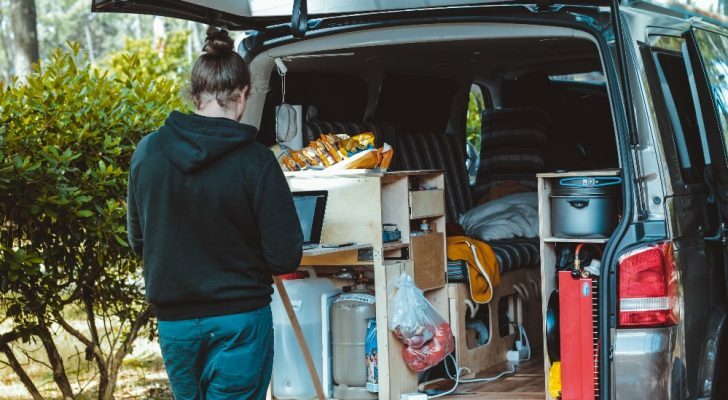 You might just feel inspired enough to make the jump to becoming an Airstreamer yourself. Bruce has also included some tips on buying your first Airstream trailer and maintaining it’s condition. 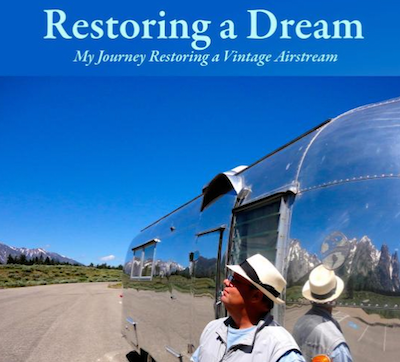 Author Tim Shephard shares his personal experience restoring two vintage Airstream trailers. You’ll see the process of purchasing and restoring a vintage Airstream through the eyes of someone who’s been there and done that. Learn why Tim originally bought a 1971 Airstream, but later decided to sell it in favor of a larger trailer. You’ll get insider’s information on what to look for when buying a vintage trailer, how to choose the best vintage trailer for your lifestyle, and how to inspect it before you buy to avoid costly repairs. After reading this book and seeing Tim restore a badly damaged 50 year-old trailer, you won’t have any fear about tackling a similar project of your own! 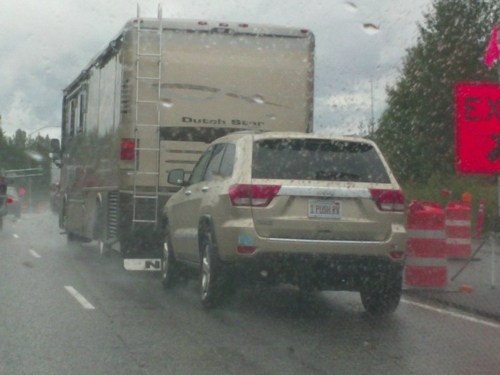 We hope that you enjoyed this listing of popular books on trailers and RV living. 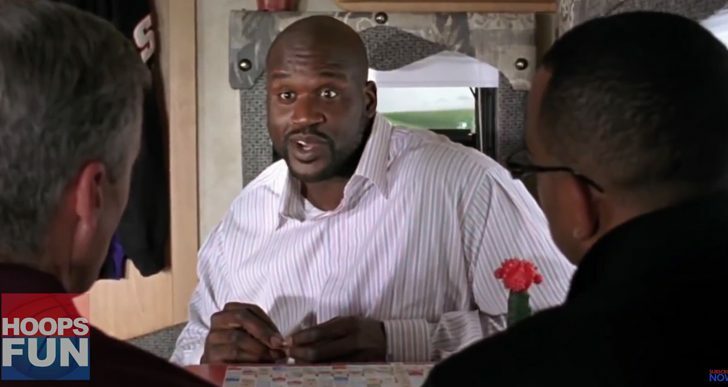 It’s wonderful how diverse the RV community is. Every one of these books is a little bit different from the other, and each has it’s own special message for you.